Behind the amazing tales of legendary super heroes is the equally amazing story of the company that told them. So many heroes, so many stories to tell - stories of DC Comics' 75 years of challenges, creativity and triumph. This DC Comics Original Documentary is both a compelling insider's tale and a celebration seen through the inkwell of those who created and lived it, balanced with insights from key historians and filled with interviews, archival footage and a dazzling parade of riveting and splashy DC covers. From the bans to the breakthroughs, from humble pulp beginnings to the literary rise of the graphic novel, the story holds a mirror to an ever-evolving enterprise and the society reflected in its comic book pages. It's an American story. Due primarily to the fact that so much of the history of Marvel Comics runs through Stan Lee, we’ve gotten a lot of material about that brand over the years. That’s not the case for DC Comics; without one central figure to rally around, the publisher doesn’t seem to receive as much historical attention. A new documentary looks to remedy that. 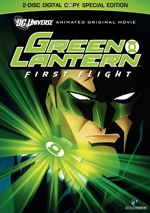 Hosted by Ryan Reynolds – star of 2011’s big-screen Green Lantern - a program called Secret Origin: The Story of DC Comics digs into the publisher’s history. 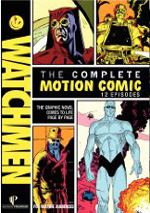 It features comments from writer/DC Comics publisher/president (2002-09) Paul Levitz, writer/historian Gerard Jones, writers Neil Gaiman, Grant Morrison, Louise Simonson and Mark Waid, artist/writer Neal Adams, writer/artist/DC Comics Director of Publications (1967-1976) Joe Kubert, writer/Milestone Media co-founder Dwayne McDuffie, artist Irwin Hasen, DC Comics co-publisher Dan DiDio, writer/art director Chip Kidd, writer/editor Dennis O’Neil, DC Comics Senior Group Editor Mike Carlin, writer/editor Marv Wolfman, writer/editor Len Wein, writer/artist Walter Simonson, artist/DC Comics co-publisher Jim Lee, writer/DC Entertainment Chief Creative Officer Geoff Johns, DC Comics executive editor Karen Berger, artist/writer Kyle Baker, and writer/artist Paul Pope. Archival material also provides notes from Superman co-creators Joe Shuster and Jerry Siegel, Batman co-creator Bob Kane, DC Comics Executive Vice President (1958-67) Irwin Donenfeld, EC Comics creator Bill Gaines, editor (1944-1986) Julius Schwartz, Superman producers Ilya and Alexander Salkind, actor Christopher Reeve, writer Alan Moore, and writer/artist Frank Miller. Origin starts back in the early 1930s to look at the beginnings of comic books and the 1937 launch of Detective Comics. From there we learn about the 1938 creation of the Superman character and the impact on comics as well as the development of other characters such as Batman and Wonder Woman. The piece touches on the spectacular growth of comics in the 1940s “Golden Age” as well as trends and the superheroes’ move into other media like radio and movies. From there we follow superheroes into the 1950s, when sales of those comics declined and the industry came under attack from would-be censors. We see the impact on the characters/stories during that era before their resurgence when the “Silver Age” began around 1956 with the revival of The Flash and reworkings of other characters like Green Lantern. The show also looks at the changes that came in the late 1960s and 1970s that kept comics relevant as well as the impact of The Dark Knight Returns in 1986 and the development of comics since then. Given the company’s nearly 80-year history, there’s certainly a good story to be told about DC Comics. Does Origin do its subject justice? Not fully – while the documentary proves to be competent, I don’t think it ever becomes terribly engaging. Perhaps 90 minutes just isn’t enough time for so much material to be told. Though I don’t think Origin ever feels rushed, it also doesn’t come across as especially detailed or rich. Some of this stems from the general unavailability of the folks who worked at DC back in the “Golden Age”. Sure, we hear from the pioneers in archival clips, but they’re not with us to participate in full. This means Origin tends to work best when we get first-hand accounts. For instance, O’Neil’s discussion of the disastrous change in Wonder Woman that occurred in the 1970s is amusing and fascinating; it’s one of the program’s best moments. Unfortunately, with so much space to cover, Origin tends to focus on generalities – at least once we get beyond the most significant characters. We actually find a pretty good exploration of the roots of Superman, Batman and Wonder Woman, though Bob Kane receives too much of the credit for the Dark Knight; the program barely touches on Bill Finger’s contributions. Nonetheless, those moments are good, but after that, the show tends to rush through the history of DC, and I think it branches off onto too many tangents. While it’s good to learn a little about superheroes in other media, I’d prefer a stronger focus on the comics themselves. As we see clips from various movies and TV shows, sometimes it feels like the comics become an afterthought. I do appreciate the fact that Origin doesn’t simply ignore the existence of Marvel. I think it’s pretty hard to tell one tale without mention of the other, especially since Marvel helped revitalize comics in the 1960s – and by doing so, gave DC a kick in the pants to get their own act together. Of course, Origin gives DC a lot of credit for the “Silver Age” – maybe more credit than the company deserves – but at least we find some acknowledgement that Marvel helped motivate changes at DC. Much of the time, Origin does feel rather self-congratulatory. I expect some of that, but I think a documentary of this sort should come across as more objective than this one does. Especially once we get into the 1960s, there’s a lot of back patting about progressive stories and characters; it gets somewhat tedious. Overall, Origin provides a perfectly decent history of DC Comics, but it never threatens to become anything better than that. We get a perfunctory overview that needs more personality and depth. Maybe 90 minutes just isn’t enough time for such an endeavor; I’d welcome a longer cut of the program that delivers greater depth. 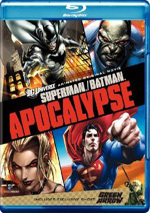 Secret Origin: The Story of DC Comics appears in an aspect ratio of approximately 1.78:1 on this single-sided, single-layered DVD; the image has been enhanced for 16X9 televisions. A mix of elements, Origin looked good considering its inherent restrictions. Sharpness usually seemed fine. The program consisted mostly of a mix of archival shots – such as semi-animated comic books, TV/movies or archival footage - and “talking head” interviews. The latter could occasionally look a little rough and blocky, but they generally appeared accurate and concise. Only mild issues connected to jagged edges and shimmering occurred, and no signs of edge enhancement appeared. Except for the archival bits, source flaws weren’t an issue, though some light digital artifacts gave the show a bit of a grainy look. Colors were satisfactory. The program featured a natural palette, and the hues looked reasonably clear and concise. Blacks were fairly dark and tight, and low-light shots seemed acceptably distinctive. While this was never a dynamic transfer, it remained perfectly watchable. I thought the Dolby Digital 5.1 soundtrack of Origin was also acceptable but not much more. The soundfield had little going for it. Music showed decent stereo imaging, and a few effects spread out across the front. These were minor, though, and didn’t add much to the experience. That said, a documentary like this didn’t need a dynamic soundscape, so I didn’t mind the bland presentation. Surround usage simply reinforced the forward domains; nothing else appeared to come from the back speakers. Audio quality was fine. Speech sounded natural and concise, without edginess or other problems. Music seemed full and rich, and effects were decent; they didn’t demand much of the mix, but they appeared accurate enough. This was a perfectly serviceable soundtrack for a documentary. In terms of extras, Origin provides none. No deleted scenes, no additional behind the scenes material – nuttin’! Which disappoints, as some additional footage might’ve made this a more winning package. 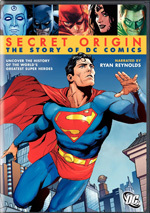 As a documentary, Secret Origin: The Story of DC Comics proves to be competent and not much better. It delivers a reasonable history of the company but it lacks depth and feels incomplete. As a DVD, this disc offers fairly good picture and acceptable audio but comes with absolutely no supplements. With a list price of $25, that’s a big mistake, and a choice that makes it impossible for me to recommend this disc. In truth, Origin should’ve simply been an extra on another DC-related release. If presented on its own like this, it should’ve come with a low list price; $25 for a bonus-material documentary like this is simply too expensive.